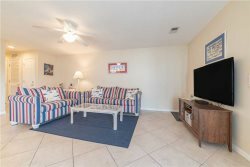 Fine vacation living is a given when you stay at Avista Resort, a popular oceanfront North Myrtle Beach attraction located in the Ocean Drive Section of North Myrtle Beach. The towers of Avista Resort open toward the Atlantic Ocean and welcome families seeking fun in the sun at a prime North Myrtle Beach, South Carolina vacation rental. The fully furnished one, two and three bedroom condominiums are nicely decorated with colorful accents and comfortable furnishings. Sunlight shines through glass patio doors that lead to the furnished balcony overlooking the white sandy beaches of Ocean Drive. The entire family will love the amenities on the oceanfront sundeck. Watch people meander the oceanfront lazy river, which sits between two sparkling blue swimming pools. The oceanfront kiddie pool is nearest the oceanfront lawn and two large oceanfront Jacuzzis are the anchoring features of this on-site attraction. Rainy days are still happy days with the indoor pool, hot tub, and lazy river. And, a full-service restaurant and poolside grill give you dining options while you stay at Avista Resort. Two wooden boardwalks make it easy to walk to the beach from the oceanfront sundeck. An on-site fitness center is another convenience, while being within walking distance to Main Street's shops, restaurants and shag dancing clubs is a real vacation bonus.